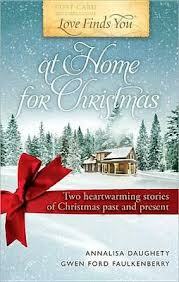 Love finds a home in two heartwarming stories of Christmas past and present. Both Ruby and Cliff have returned home to their small Arkansas town after serving in World War II. As snow blankets the town and Christmas draws near, will their wounded hearts find healing and love? Sophia never expected to return to her hometown, but she's converting her grandparents' Victorian mansion into a café. Then her childhood friend Jon walks into her café and back into her life. As Christmas descends upon the Ozark hills, Jon woos Sophie with a tender love that makes her feel like she's come home. I recently reviewed both these authors. 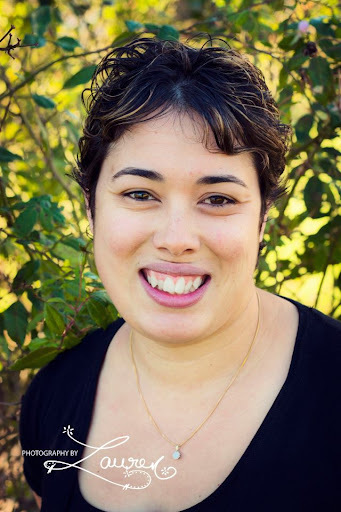 A Wedding Date in Hot Springs, Arkansas by Annalisa Daughety and Love Finds You In Romeo, Colorado by Gwen ford Faulkenberry and I loved them both. So when I was browsing the local book store and saw that these two ladies had collaborated on a book together, well there was no stopping me from purchasing it. Each story was thoughtfully and lovingly told. In Sweet Southern Christmas, Daughety tells the lovely tale of Ruby and Cliff, who are really good friends who eventually find their way to each other. I really loved the way the friendship was explored, it seemed to me like a friendship first then love. Even though they were attracted to each other, especially Cliff more than Ruby, their friendship took center stage and it was a joy to watch. By the time they figured out their feelings and how to make it work, you wanted them together. Small-Town Christmas by Faulkenberry was just a beautifully and thoughtfully rendered Love finds You in Romeo, Colorado. Again she takes things slowly but with purpose. Jon and Sophia quietly jumped off the page and landed in my heart. Their friendship of a lifetime was picked up so well after years of distance. When you read the book you feel like these two respect each other and are eager to meet the people they became as adults. Jon still holds feelings for Sophia and it's great to watch her figure out her own feelings as they cement their friendship. The steps to their romance seemed so natural, like it was just the right progression in their lives. Wonderfully written. This is what I want my readers to feel about my books. These books don't break records, they don't overstate or understate, they are not flashy - but they are wonderfully told stories that just settle in beside you like an old friend; like they were always meant to be there. This is what story telling for me is. I love Christmas romances Jess. I will have to check these ones out.